Also available in 250ml and 5 ltr containers. 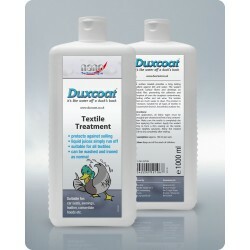 Duxcoat Nano Textile Sealant will treat all types of fabrics and materials so that they become resistant to Dirt and Fluids. Coffee, Tea, Fruit Juice or even Wine simply runs off the treated surface. 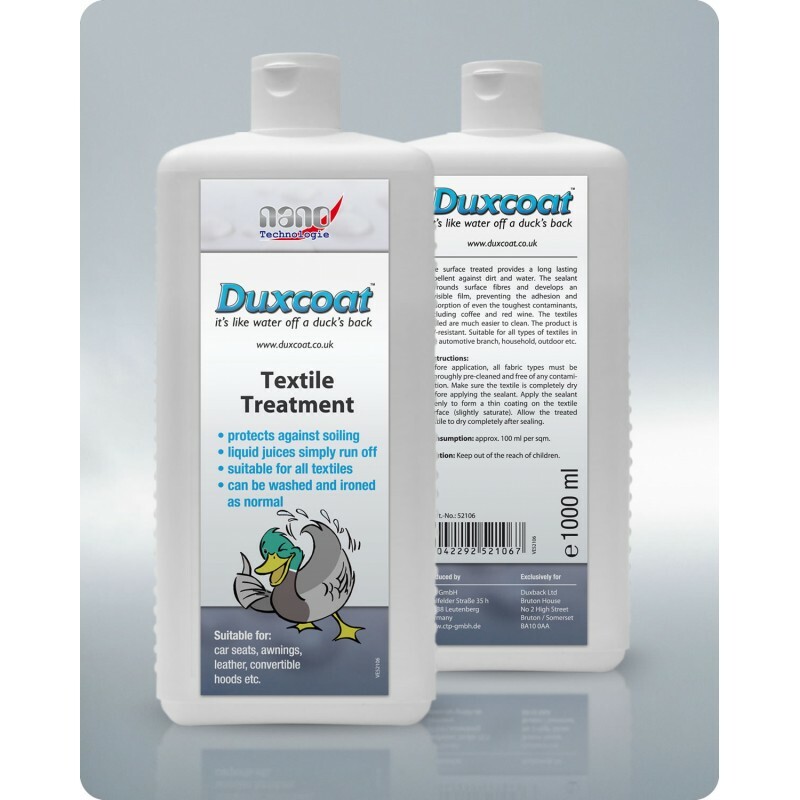 Textile surfaces, such as cushions, car seats, carpets, cabriolet hoods, shoes, trainers, suede, even all types of clothes can be permanently protected from liquids such as water, coffee, fruit juices, red wine and general dirt.